Tap the photo for which you want to customize the pan / zoom effect. Tap the pencil icon to bring up the feature bar. Tap the second icon from right. 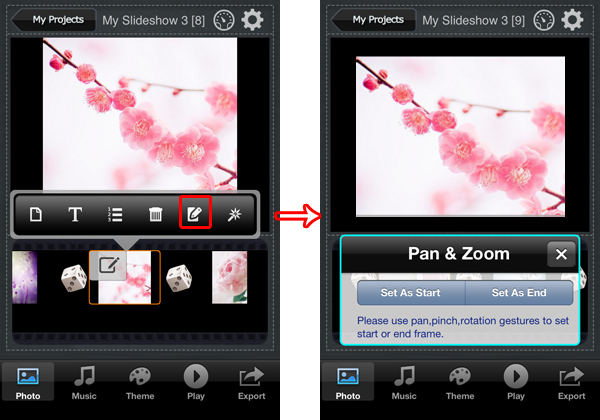 Use pan, pinch, rotation gesture to set a start and end frame for the current picture. Set ken burns effects for other slides in the same way above.